Our smart job-distribution technology promotes your job listing across the web and on leading Pharmacy industry websites all at no additional cost or effort on your part. Every job listing on inPharmacy Jobs is promoted through our exclusive network of the best-known Pharmacy websites, publications, and associations. Our smart job-distribution technology targets pharmacy jobseekers online to deliver a higher percentage of qualified jobseekers. 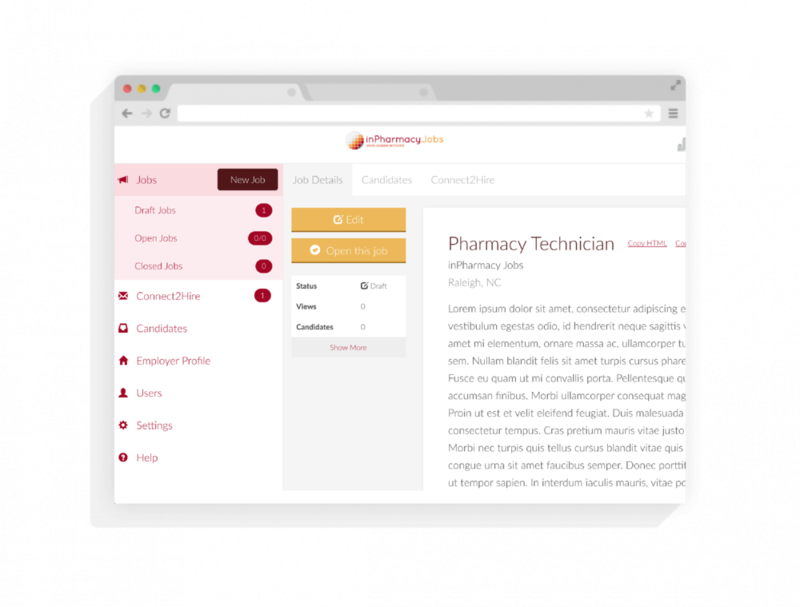 With your inPharmacy Jobs account, you’ll have a hiring dashboard that keeps all of your candidate information and files organized in one place. No more dealing with emailed applications and attachments. All of your history is also saved so you can quickly create a new job ad or reference a previous candidate the next time you need to hire.